Although oval tracks far outnumber drag strips in the United States – with only 295 drag strips and around 1,043 oval tracks – in drag racing the number of competitors almost equal those from circle track ranks. There are over 35,000 licensed members in the NHRA alone. One reason may be that you can drive almost any vehicle in a drag race, and with handicapping and the other competitive rules, any vehicle is able to be as competitive as any other one. No matter what kind of engine work that is currently being done by your shop, there is a good chance you have worked on one engine at least that has found its way onto the drag strip. 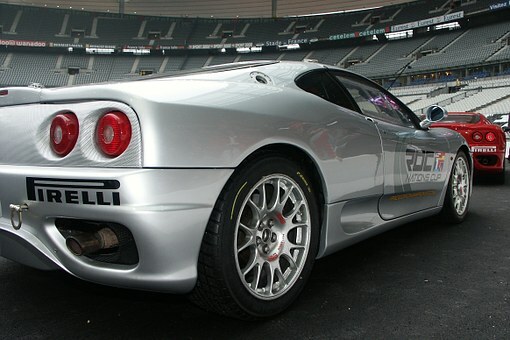 The import racing and sport compact markets are growing on a daily basis. No matter what kind of engine work that is currently being done by your shop, there is a good chance you have worked on one engine at least that has found its way onto the drag strip. The import racing and sport compact markets are growing on a daily basis. Although drag racing is sanctioned by many organizations in the United States, there are two major organizations which are the International Hot Rod Association (IHRA) and the National Hot Rod Association (NHRA). Almost all other groups get their cues from those two sanctioning bodies, and other groups might have competitive rules of their own, but most abide by the safety rules of either the IHRA or NHRA. Of course, if you will be building an engine for a specific class and organization, you must familiarize yourself with all of their rules. Internal engine modifications, in some classes, might be unlimited, while those modifications in others might be strictly limited. IHRA and NHRA, for example, have approve replacement parts listed for a majority of “Sportsmen” classes. To keep things simple, we will be using the NHRA classes while we are discussing different classes and engines. Those class descriptions and listing come courtesy of the NHRA. The IHRA has a similar set up. Pro Stock, Funny Car, and Top Fuel are three of over 200 vehicle classes that are featured in NHRA competitions. Those classes are organized into 12 categories, also referred to as eliminator, are governed strictly by NHRA rule makers. The eligibility of classes are based on different specifications and requirements, including aerodynamics, allowable modifications, vehicle weight, engine size, and type of vehicle. The four Professional categories are Pro Stock Motorcycle, Pro Stock, Funny Car, and Top Fuel. Those, along with Top Alcohol Funny Car and Top Alcohol Dragster and three “Super” classes – Super Street, Super Gas, and Super Comp- in heads-up competition feature one class of vehicle. The remaining categories – Stock, Super Stock, and Comp – are comprised of various classes and to equalize competition uses a handicap starting system. 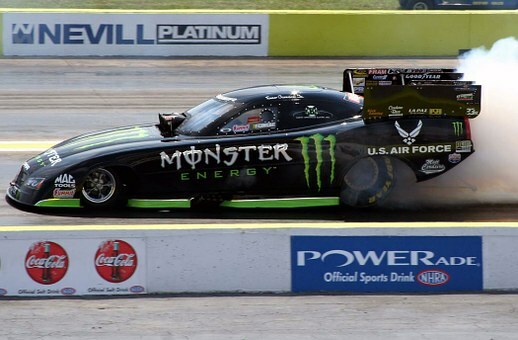 The world’s fastest-accelerating vehicles are Top Fuel dragsters. The 25-foot landlocked missiles may cover one quarter of a mile within 4.4 seconds at over 330 miles per hour. The choice of engine for a majority of teams is the aluminum version of the famous 426 Chrysler Hemi. An estimated 8,000 hp is produced by these nitromethane-burning, fuel-injected, supercharged engines. These nitromethane-burning, fuel-injected, supercharged machines, with their carbon-fiber aerodynamically enhanced bodies that somewhat resemble production cars travel a quarter mile within 4.7 seconds at over 325 miles per hour. The 426 Chrysler Hemi engine’s aluminum version is used by most teams and produces around 8,000 hp. These cars resemble streetcars, however their looks may be deceiving at times. 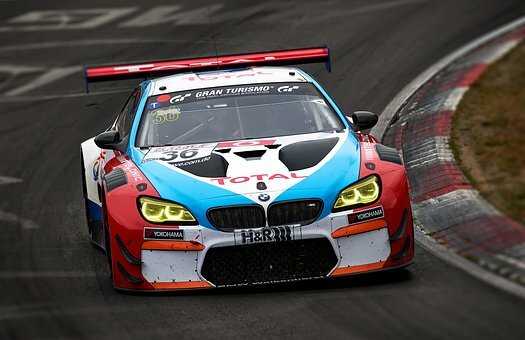 Extensive modifications to the suspension, chassis, manifold, and cylinder heads thrust them up to 6.7-second elapsed times at over 200 miles per hour. The most popular choices in engines for the gas-burning, carbureted vehicles are the Ford wedge, Mopar Hemi and the GM big-block wedge. These highly modified motorcycles produce more than 300 hp may cover the quarter-mile in under 7.1 second at over 190 miles per hour. The chromoly steel chassis is houses in an aerodynamically, lightweight enhance replica of an original motorcycle body. Also, the carbureted gas engine might be a Harley V-twin – four-valve or two-valve. These dragsters strongly resemble Top Fuelers, but most of them burn methanol. Nitro-burning, non-supercharged entities are permitted as well. Those vehicles are able to cover the quarter-mile in under 5.3 seconds at over 260 miles per hour. In the Lucas Oil Drag Racing regional series it is the fastest class. These vehicles look like the fuel-burning counterparts but burn methanol instead of nitromethane. These vehicles performance marks are within the mid-five-second range at over 260 miles per hour. This class and Top Alcohol Dragster share the spotlight in the Lucas oil drag Racing regional series. With 80 classes, Comp showcases various gas-burning dragsters, trucks, sedans, coupes, street roadsters, and altereds powered by engines that range from small four-cylinder screamers up to powerful V8s. There are some that are turbocharged and others that are supercharges, but most of them are carbureted. Competition is equalized by a handicap starting system. A range of stock-appearing domestic and foreign factory sports cars and automobiles with limited modifications are featured by Super Stock. 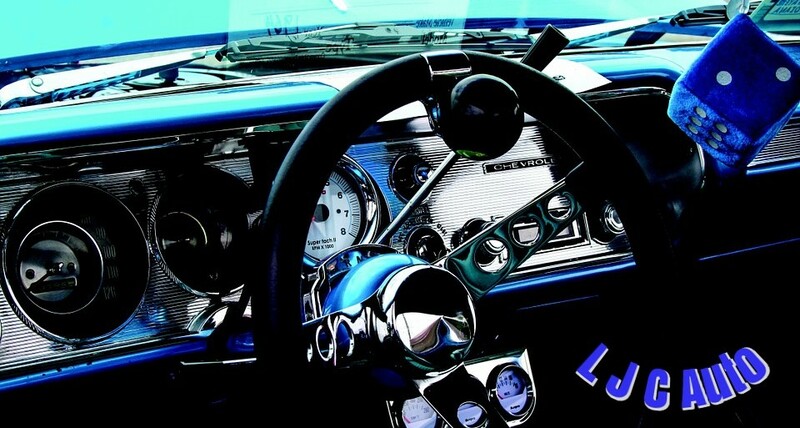 Eighty-three classes of trucks and cars, from late-model passenger vehicles and sedans to 1960s and 1970s vintage muscle cars, are showed. Breakout rules apply and competition is equalized by a handicap starting system. Various domestic and foreign production vehicles make up stock. Everything from popular vehicles from the 1960s and 1970s to late-model trucks and passenger cars are able to participate in any of the 102 Stock classes. Few alterations or modifications are allowed. Like the Super Stock, it enforces breakout rules, and uses a handicap starting system. One class is featured by Super Comp and is fastest out of the three Super classes. Comprised mainly of gas-burning dragsters, although roadsters and full-bodied production vehicles, heads-up competition with an 8.90-second index is featured on Super Comp. There is virtually unlimited engine modification. Mainly full-bodied production vehicles are featured in Super Gas with functional doors, windshields, tops, grilles, hoods, and full fenders. Dragsters are not allowed but left-hand-steering street roadsters are. This class uses the same rules that Super Comp does; but it has a different index. It uses a heads-up start, but a 9.90-second index is the fastest that racers can run. Designed to be an entry-level category, Super Street is reserved for just full-bodied production vehicles, which includes trucks, vans, and sports cars with functional doors, windshields, tops, grilles, hoods, and full fenders. A 10.90-second index is what racers use to compete. These cars are exotic six- and four-cylinder machines that fed by nitrous oxide and turbochargers. Race cars are the fastest class that is able to cover the quarter-mile in less than six seconds at over 300 miles per hour, but also NHRA offers intermediate and novice categories for almost all levels of enthusiasts. Many individuals believe Sport Compact racing is just for imports like Toyotas and Hondas, but there is plenty of room for makes from Detroit in this very popular scene. A Top Fuel dragster half-scale version is designed to be driven by children 8-17 years old in the NHRA’s Jr. Drag Racing League. The Jr. Dragster uses a single-cylinder, five-horsepower on the eighth-mile can go up to 80 miles per hour in as few as 7.90 seconds. Almost any vehicle, ranging from a grocery-getter, to a muscle car to a dragster is able to compete within the E.T bracket racing at 140 member NHRA tracks in the U.S., Puerto Rico, Mexico, and Canada. They even welcome snowmobiles, believe it or not. These vehicles are legal to drive on a daily basis on the street with insurance and valid registration. These domestic and foreign vehicles range from today’s sports compacts to late-model trucks and passenger cars. Typically, these cars run in NHRA Street Legal events, and they also run at NHRA Summit Racing Series and NHRA Sport Compact events. Reading through these descriptions, as you can see there is plenty of opportunity for almost any shop to get involved with drag racing. However, you can expect to rush out of your shop and get engines built for the NHRA “Pro” classes, especially the Funny Car and Top Fuel Dragster classes. The team, for the most part, builds “nitro” engines and in a majority of cases, they don’t purchase assembled engines, but buy components and then do the engine assembly themselves. After each run, the engines are totally rebuilt, so buying a lot of already assembled engines doesn’t make sense. American Expedition Vehicles (AEV) has built itself a well-earned reputation for delivering quality parts and accessories to serious off-road enthusiasts. Their latest venture is a bit more ambitious; they’re the experts Chevrolet called in to help create a factory off-roader in the form of the 2019 Chevrolet Colorado ZR2 Bison. This new truck is clearly designed to cater to the market segment that is breathlessly awaiting news that Ford might someday bring its Ranger Raptor (so far only offered in Europe and Asia) to the US market. The ZR2 was already a very tough (and tough-looking) truck, and the Bison edition ups performance and ruggedness significantly. Underneath the bison is protected by five new skid plates. Hot-stamped boron steel plates cover the fuel tank, oil pan, transfer case, and both the front and rear differentials. On the Bison, the traditional bowtie logo is banished from the front grill, replaced by “CHEVROLET” in bold letters. AEV has also designed the Bison’s unique bumpers (front and rear). The front bumper is built expressly to accept a winch, and the rear bumper includes fully-integrated recovery hooks for getting the Bison out of trouble. The truck comes with exclusive 17-inch rims and 31-inch Goodyear Wrangler Duratrac tires. Naming the model the Bison is undoubtedly a nod to AEV’s own history; the company already uses the same animal as its brand logo. The truck’s unique pedigree is expressed loudly with a tailgate-mounted “AEV Bison” badge and Bison decals mounted on both bedsides. The brand appears in the truck’s interior design as well; the floor liners and front headrests all feature embroidered AEV logos. Though the AEV extras serve to make the Bison truly exceptional, the underlying ZR2 package includes plenty of formidable off-road features. The Bison ZR2 includes electronic locking differentials fore and aft, control arms made of cast iron, off-road rocker protection, Multimatic DSSV dampers, and an Autotrac transfer case. This model also shares the standard ZR2’s 3.42 gear ratio and modified rear axle. The Bison, like other ZR2s, has a two-inch suspension lift when compared to the standard Colorado ZR1. The front and rear tracks are also 3.5 inches wider on the ZR2 and the Bison. The Bison’s standard powerplant is the same 3.6-liter V6 (plus an automatic eight-speed transmission) featured on the ZR2. This can be replaced, at the buyer’s discretion, with a 2.8-liter turbo diesel with a six-speed automatic. Chevy offers a full range of body styles for the Bison; it’s made in both crew and extended-cab versions and comes with either a long or short bed. 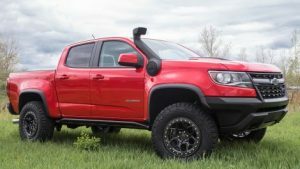 Both the 2019 Colorado ZR2 and the off-road-centric Bison edition go on sale in January. Prices for standard ZR2s start at $42,290. Chevy hasn’t published a price for the Bison yet, but it’s reasonable to expect to pay a significant premium when compared to the ZR2. Only time will tell if this strong competitor inspires Ford to start selling its Ranger Raptor in the US. Nascar can be a lot of fun to follow. When you have a favorite racer, you can feel like you have a personal investment in every single race that you watch. You’ll be on the edge of your seat when a major race is going on. 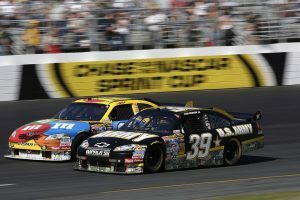 If you are having a hard time keeping up with Nascar car racing, you should be aware of the resources that can help you follow your favorite sport. You can keep track of what is going on in the racing world no matter where you are! If you have the right kind of app, you will always be able to obtain more information about races and events. These apps are great when you don’t have the time to watch Nascar events. Even when you’re out on the go, you’ll be able to see what is going on. Even the racers like to get on social media – watch for their verified accounts. There are all kinds of sites that offer news. Some of these sites have a specialty. If you start following a Nascar news site, you won’t have to read news about anything but Nascar. You’ll have the chance to read interviews with your favorite drivers, news stories about sponsorship deals, and so much more. If something big happens in the world of Nascar, you are going to be aware of it. If you have friends that are also fans of Nascar, it’ll be a lot easier for you to enjoy races. You’ll always have someone to talk about Nascar with, and you’ll be able to watch major events with your friends. 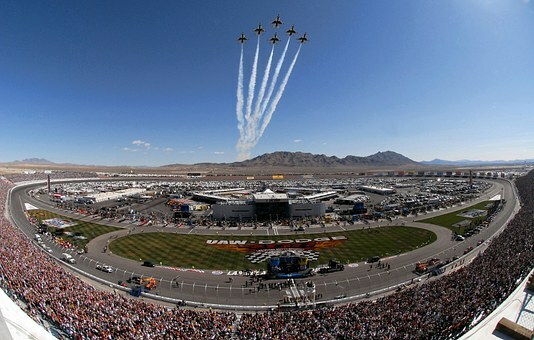 Often times, joint community or government efforts team up with Nascar. In 2016, Nascar tracks across the US and the Department of Veterans Affairs (VA) joined forces for the NASCAR Sprint Cup Season with a hard drive to generate funding for VA Benefits and help provide special services for Veterans. If no one that you know shares the same interests that you have, you may want to connect with people online. There are entire communities that are built around Nascar. In this day and age, it is easy for people to connect with like-minded people. Start looking for communities and see what kind of people you can meet. You may be able to make some new friends that share your passions! Keeping up with Nascar car racing doesn’t have to take a lot of effort on your part. No matter how busy you are, you should be able to follow major events and keep track of what is going on in the racing world. If something big is going on, you will be among the first to know about it!